Internet addiction may signal other mental health issues among college students, according to a new study. Canadian researchers say their findings could affect how psychiatrists approach people who spend a significant amount of time online​. For the study, the researchers evaluated the internet use of 254 freshmen at McMaster University in Ontario. 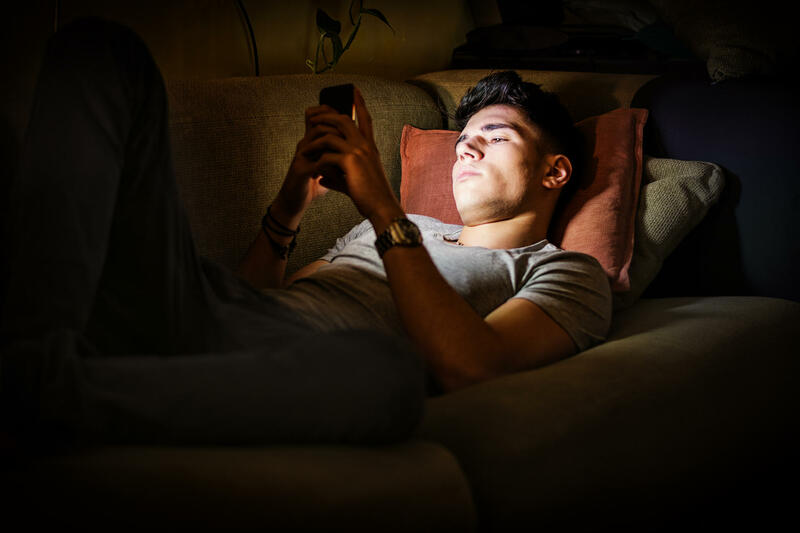 The researchers used a tool called the Internet Addiction Test (IAT), developed in 1998, as well as their own scale based on more recent criteria. “Internet use has changed radically over the last 18 years, through more people working online, media streaming, social media, etc. We were concerned that the IAT questionnaire may not have been picking up on problematic modern internet use​, or showing up false positives for people who were simply using the internet rather than being over-reliant on it,” said chief researcher Dr. Michael Van Ameringen. He is a professor of psychiatry and behavioral neuroscience at McMaster. With the new screening tool, 33 students met criteria for internet addiction, and 107 for problematic internet use. Van Ameringen’s team also assessed the students’ mental health​, including signs of impulsiveness, depression, anxiety and stress. Most of those addicted to the internet had trouble controlling their use of video streaming and social networking sites as well as instant messaging tools, the researchers found. They had more trouble handling their daily routines and higher rates of depression​, anxiety, impulsiveness and inattention. They also had problems with planning and time management, the researchers found. The study is scheduled to be presented Sunday at the European College of Neuropsychopharmacology’s (ECNP) annual meeting in Vienna, Austria. Research presented at medical meetings should be considered preliminary until published in a peer-reviewed journal. The new research only found an association between internet use and mental health​. Van Ameringen said a larger study is needed to learn if these mental health issues are a cause or a result of excessive internet use. “This may have practical medical implications. If you are trying to treat someone for an addiction when in fact they are anxious or depressed​, then you may be going down the wrong route. We need to understand this more, so we need a bigger sample, drawn from a wider, more varied population,” Van Ameringen said in an ECNP news release.